If your taste runs towards the amusing, droll, mischievous or eccentric end of the spectrum, so does ours! A hanging bat weathervane, talking animal weathervanes, flying cows and pigs plus charming storybook characters bring a smile to most people’s faces. 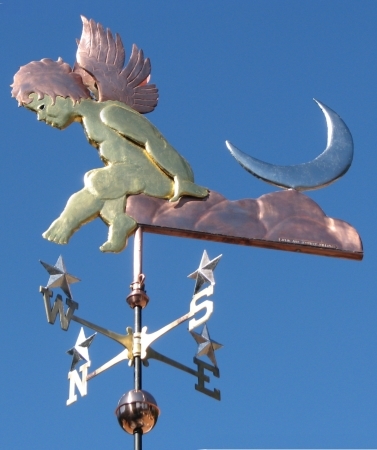 Especially popular with families and businesses that cater to families and/or children, if you have a whimsical weathervane idea, we’d love to hear from you. 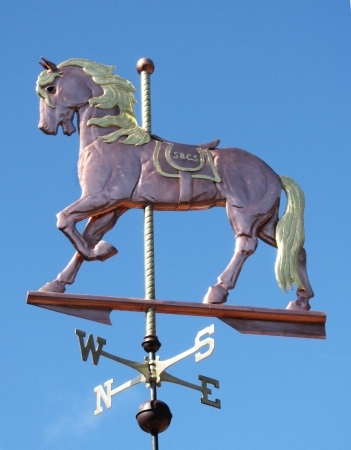 Some of our favorite weathervanes are the result of a customer coming to us and saying, “Can you make me a ……. weathervane?” Let us fill that blank in just for you.